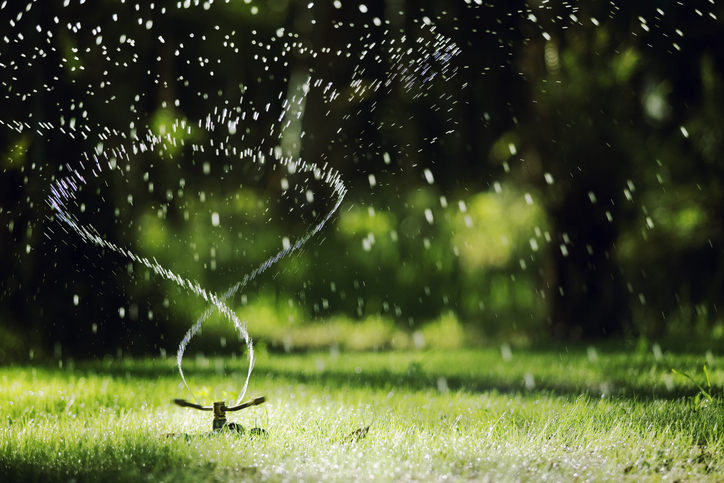 Proper watering nourishes lawns, just as proper hydration nourishes our bodies. Yet too many of us are failing at both. We’re not going to lecture you about drinking more water—we’ll leave that to your doctor or significant other. But we are going to give you a lesson about correctly watering your lawn. Here are five lawn-watering mistakes that you’re likely making right now and ways you can fix those mistakes. Many homeowners drench their lawns with water. However, that’s not a wise move. Over-watering can leave your lawn susceptible to fungus and other diseases. It also can cause your lawn to grow too quickly and can wash away costly fertilizers, according to PlantCareToday.com. In addition, drowning your lawn wastes water. To avoid excessive watering, PlantCareToday.com recommends buying a soil moisture meter. “These meters are very simple and valuable tools that you can pick up for $10 or so at any garden center or home store,” the website says. Lawn care experts say most lawns need one inch of water per week. However, that’s merely a rule of (green) thumb, as watering requirements vary according to grass type, climate and seasonal changes. “The amount of water required for an established lawn will be determined by its overall health, beauty, and ability to withstand use and drought,” says Turfgrass Producers International, a trade group for sod growers. “After a storm, do not begin watering again until the top 1 to 2 inches of soil are dry. Lawns that lose their lush green luster will rejuvenate with the next rain,” says Jeff Stephenson, principal water resources specialist at the San Diego Water Authority. Researchers at Kansas State University found that 65 - 83 percent of homeowners surveyed in three Kansas cities didn’t know how much water their lawn irrigation systems had applied. When your lawn is brown, you might think it’s parched. However, it may simply have gone dormant during hot weather or drought conditions. made notes of the information for reviewing at home. Just when I think I have it figured out. Thanks again for the information. Great tips! Over watering can lead to more damage than people realize!